According to North Korean defector Im Yŏng Sŏn, North Korea began construction of several long-range missile bases in the late 1980s, and the construction of an underground base at Mt. Komdŏk had been completed by the time of his defection in 1993. 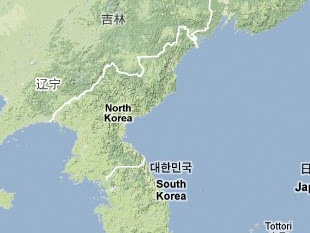 The South Korean Ministry of National Defense and some military analysts speculate that the missile base at Mt. Komdŏk is an underground facility inside the mountain, and that it is similar to the Nodong missile base located at Okp'yŏng-dong in Munch'ŏn, Kangwon Province. A significant advantage for this type of missile facility is that reconnaissance satellites cannot detect launch preparations prior to launch. "'Pukhan, Yŏngbyŏnsŏ Chiha Haekshilhŏm'/Changgŏri Missile Kiji Su'got Kŏnsŏl," Taehan Maeil, 25 August 1993, p. 22, in KINDS, www.kinds.or.kr. "North Korea Updates Taepo Dong Launch Pad," Jane's Missiles & Rockets, Vol. 5, No. 7, July 2001, p. 2. Kim Hong Chin, "Guam-Il Tŭng Migun'gonggyŏk Missile Kiji/Puk, 2 Kot Wan'gong 2 Kot Kŏnsŏlchung," Chosun Ilbo, 25 August 1993, www.chosun.com. Eya Osamu, Kim Sei Nichi Daizukan (Tokyo: Shogakkan, 2000), pp. 14-15.